Dirty Business Publishing, LLC, 9781732276451, 194pp. After he saves a young couple from a vicious attack in Rome that results in the murder of one of the attackers, Liko flees to Florence and arrives in the midst of organized protests by religious zealots. He discovers, to his shock, that the young woman he saved is a world-famous geneticist named Istina who is presenting her new gene-editing technology at the conference that is the focus of the protests. 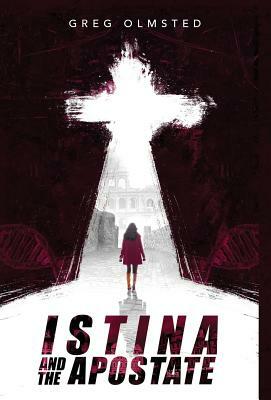 Needing answers, Liko pursues Istina and develops a friendship with her - until the attackers reappear. Liko and Istina flee to Venice, where their relationship begins to blossom with all the passion, beauty, and mystery that first love and Venice promises. Can Liko protect Istina from the many forces that seek her destruction? This thrilling novel combines cutting-edge genetics research, art, stunning locations, and an exploration of the ways in which religion interacts with it all.